Building muscle with bodyweight exercises has been a debate for a long time. There have been some great articles written by Jason Ferruggia and Zach Even-esh, two popular strength coaches… but yet there is still controversy surrounding the issue. Heck, I’ve covered the topic numerous times and have even created a program that addresses the issue. Today, I want to break the concept of bodyweight bodybuilding into its simplest form. There are really just two principles that you need to follow. If you miss the first one then you can build strength but NOT hypertrophy. If you miss the second one then you can increase muscular endurance, but NOT hypertrophy. When you combine both you have the perfect recipe for bodyweight muscle growth. You have probably heard of Time Under Tension before. This concept means that the muscle must be under duress for a certain period of time in order for structural damage to occur. There was an interesting study performed by the College of Health Sciences, University of Brasilia, Brazil. They were measuring the effects of 3 different training methods and their effect on blood lactate levels. Lactate is a byproduct of metabolism that builds up in muscles during strenuous activity. Group 2: Perform 10 rep max but hold 5 second isometric with muscle fully extended during each rep.
Group 3: Perform a 20 second isometric contraction with muscle fully extended and then begin 10 rep max with normal pace. All 3 methods showed an increase in blood lactate levels. However, the levels for group 1 were highest. Group 2 was second highest and group 3 was last. You have to keep the muscle under tension for a certain period of time in order for it to tear muscle tissue. This study may even hint toward increasing the time during EACH phase of the movement (concentric and eccentric). When you do your push ups or pull ups don’t knock out as many as you can. Try slowing down the movement to 30 seconds each phase and notice how sore you’ll feel. Time Under Tension, alone, will NOT increase muscular size. Think about the physiques of runners. Awhile back, I interviewed Karl Meltzer, who runs ultra marathons of over 100 miles. He has a very slender physique but puts his muscles through hours (sometimes days!) of Time Under Tension. The second component that a lot of people miss when they are trying to build up their physiques is that the AMOUNT of Time Under Tension is equally important. By Amount of Tension I am referring to resistance. There are countless studies that show how increased resistance result in bigger muscles. I won’t go into that here. What I want to show you is how to increase resistance using just your own bodyweight. In Bodyweight Overload, I cover some concepts that help increase resistance. Here, I’ll teach you three. 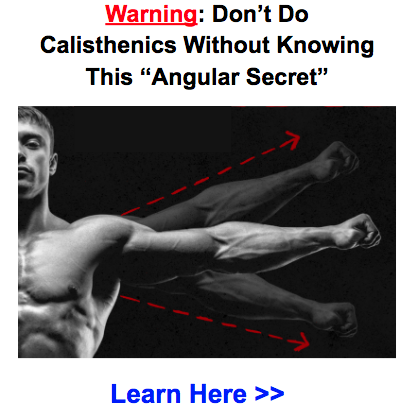 Angular Training is a technique where you angle your body to put more strain on a particular muscle group. For example, let’s look at the push up. You can do the normal push up and work the middle portion of the chest or you can apply Angular Training to the chest muscle group and work a portion of it that doesn’t usually get worked, the upper part. Put your feet up on a chair and you’ll be targeting this upper part. You can apply angular training to any exercise to change the resistance. This is one of my favorites. I apply it often. Bodyweight Distribution means that you are adjusting the amount of weight in a certain limb to increase resistance. For example, let’s take the push up again. Normally, your bodyweight is distributed evenly 50/50 across both arms. Try shifting your weight over to one side as you do the push up. You’ll instantly increase the resistance. Try doing these super slow for a 30 second eccentric and 30 second concentric and I guarantee you’ll be hurting. The final technique that I want to share with you is The Squeeze. Its so simple but most people forget to do it. When you are doing any exercise remember to squeeze the muscle to recruit more muscle fibers. This makes the exercise harder. You don’t need to do it every time but adding the extra squeeze on a few of your sets will help fatigue the muscle faster. There you have it. If you follow these 2 principles: Time Under Tension and Tension Under Tension, you’ll be seeing some awesome growth in no time. Just found this great resource on bodyweight training. 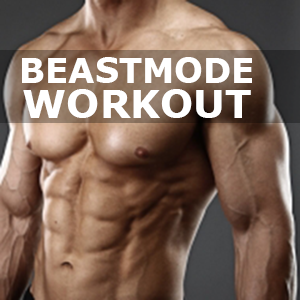 It includes 50 Best Bodyweight Exercises. Definitely worth checking out. I have got to give you credit your Blogs are in my personal Top 3, and I read a lot of fitness blogs. I like your style and the content and they are very readable, as i think you go the extra mile to make them so. I think you do this by interpreting the Jargon and re writing it in “Ordinary Human Speak”. Keep doing what you are doing and take care Mate. You could possibly unquestionably see your passion from the paintings you are submitting. The planet desires all the more enthusiastic freelancers just like you that are not reluctant to bring up the way they believe. Usually adhere to your current heart. Great revelation! I truly appreciate your knowledge, it’s just great especially for me a beginner! This is a great article! As always, very informative and extremely useful! Hey Todd , Thanks for the info and the your 3 months workout as I already started it and starting to see some results , though I have a question , the order you mentioned in your program , is it a must to go through this order the whole month or can I shift exercises ? it is for example in the upper body part , when I get to the kiss diamond push up , my hands hurt so bad that I feel I am not working my chest properly and I can’t pass 4 reps or something , so what do you think ? 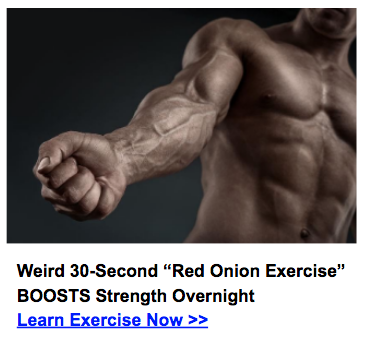 I also want to increase the speed along with muscle and strength. So, have any idea? I like that you isolate the two most important parameters of any set (1) the time under tension, and (2) the actual level of the tension itself. In the context of body weight exercises where you are not loading plates onto bars, I find it convenient to use the RPE (rate of perceived exertion ) concept adapted to Time Under Tension as a proxy for the actual tension. Traditionally RPE is based on the number of repetitions “left in the tank.” In the TUT context RPE is based on the number of seconds left in the tank. Once you have the TUT and the RPE for a given set of pushups there should be a way of calculating what percentage of the optimum weekly fiber-fatigue/micro-trauma quota for the body’s pushup musculature is satisfied by that set. 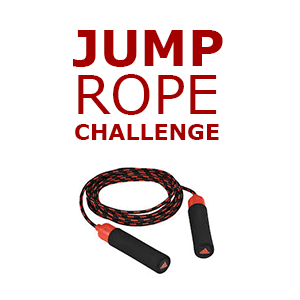 By optimum, I mean as challenging and stimulating as possible without resulting in injury or compromised recovery. As a mathematician and amateur exercise enthusiast I have developed an empirical formula that I find to be helpful for me. Perhaps some of your readers would be interested in it. I am not selling anything, just trying to share something that I personally find to be a valuable tool. A set of pushups to failure that takes 20 seconds to complete provides about 4.5 percent of the weekly quota. Eight such sets as in the Tabata protocol gives you 36 percent of your weekly quota. So Tabata three times per week (as in the original study) gives you 108 percent of your weekly total, slightly on the over training side for us ordinary mortals. A set of pushups that takes 21 seconds to complete but leaves 4 seconds in the tank provides only about 3 percent of the weekly quota. Fifty seconds of sprinting on a treadmill to failure (imminent danger of being dumped off the back end) provides about 7 percent of your weekly running quota. Twelve seconds of chinups to failure (inability to lift your chin above the bar) gives you 3.5 percent of your weekly quota. If you are interested, I would be happy to share as many details as you would like to know.